What struck me as I worked with this passage was how this sign/miracle allowed the wedding party to continue. Jesus seems annoyed at his mother when she tells him, “They have run out of wine.” He responds, “Woman what is that to me? My hour has not yet come.” That seems to indicate that this request seems somehow beneath him or not worth his time. Nevertheless, Jesus helps them out. He doesn’t want the hosts to be embarrassed. He doesn’t want the party to stop. 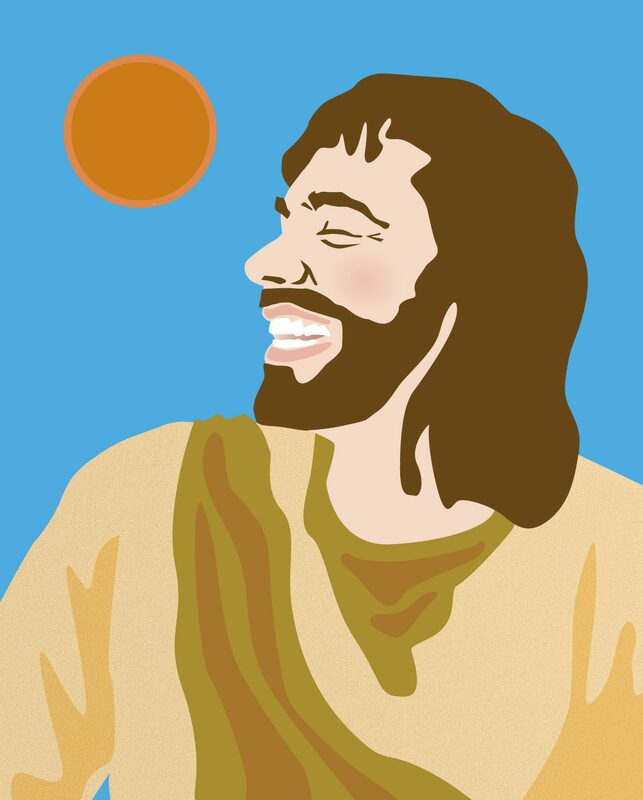 We may not think of Jesus as a “fun guy,” but at least according to the gospels, he does spend a lot of his time eating and at dinner parties. He’s willing to enter into deeper discussions about God and about faith and about life. Overall, I think Jesus enjoys, life and I think he wants us to enjoy life and to enjoy God. That raises the question: how much do you enjoy church? Yes, there are parts of church life that are not fun. Filling out the annual statistical report if you’re the clerk of session isn’t fun. Cleaning up after a wedding where the guests have thrown rice at the bride and groom even though they were told not to isn’t fun. Planning the meals and arranging the transportation for a mission trip isn’t fun. Making sure it all works smoothly, happens on time, and is done well takes work. There’s no way around it. It’s not that we have to be laughing all the time when we’re at church, although I see laughter as a sign of health and vitality. We should be able to laugh, we need to be able to laugh, in church and at some of the things that go in church. I’m sure Jesus would laugh, too. What we need to have, what I’m looking for when I’m visiting a church and talking to its members, is a sense of joy, a sense of pride, or maybe a sense of satisfaction. Does your church bring you joy? Do you enjoy the people? Do you enjoy worship? Or does looking around at a half-empty sanctuary, empty Sunday School rooms, and peeling paint by the back door make you sad? Do you get angry at the people who’ve stopped coming or who’ve stopped giving the way you think they should? Do you worry about whether you’re going to be able to pay the bills or pay the pastor? Are you afraid of what’s going to happen if something goes wrong with the furnace or the air conditioner? Are you filled with regret about some decisions your church made: running off a pastor, cutting back on your mission giving, not replacing the church secretary when she retired? If your church doesn’t bring you joy any more, what are you going to do about it? Maybe you need to change your attitude or change your expectations. Maybe you need to spend more time dreaming about the future rather than living in the past. You can’t change the past. You can change the future. You can certainly pray for God to open your eyes to see signs of joy. You can pray for the Holy Spirit to open your mind and open your church for new possibilities. For some, the answer may be that it’s time for the church to close. If the building has become too much of a burden, if you spend more time worrying about the future than you do planning for the future, maybe that time has come. Maybe you don’t need 120-180 gallons of wine, but maybe you could use a miracle. It doesn’t hurt to ask. I’d suggest you start by closing your eyes and thinking about your church. What about its life and ministry brings you joy?